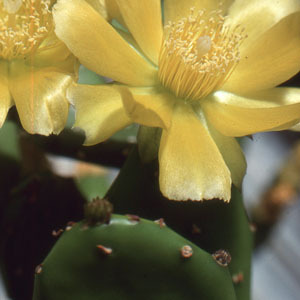 This is a large, flat-jointed cactus native to the Eastern U.S. as far north as Massachusetts. The yellow flowers are very large and ornamental. It is both edible and a medicinal herb. It needs a well drained soil. Categories: All Items, all potted plants, culinary herbs, deer resistant, medicinal herbs, native American plants, Potted Plants, More..